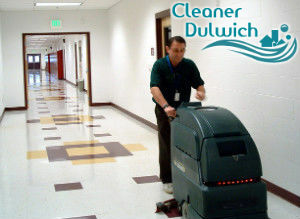 We are a trustworthy cleaning company, popular throughout London and in Dulwich in particular, for delivering top-notch hard floor cleaning and polishing services. If you are looking for reasonable prices and top quality, the best choice you can make is to get in touch with us and request a service. We are committed to exceeding customers’ expectations by delivering a high quality service at a convenient to you day and time. After the evaluation of the floor condition, it will be thoroughly vacuumed. Any stubborn stains as well as the high traffic areas will be taken care of before the cleaning detergent is applied. Then, the floor will be rinsed and dried. If you want to keep its fantastic look for longer, taking advantage of a floor polishing procedure is recommended. Entrust us and we will apply a protective coating onto the floor with the aim of restoring its smoothness and gloss. 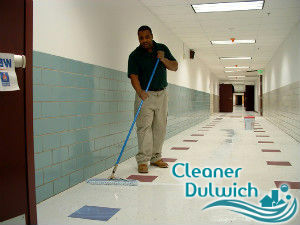 In order to make a booking, you are welcome to contact our operators and ask for availability in Dulwich, SE21. They will provide you with plenty of additional information about the essence of the hard floor cleaning and polishing service. We guarantee that the most convenient time slot will be booked for you. As for the price rate, you will hardly be able to find a company that would match or beat the quote we give you.